Scotland is considered one of the most beautiful places on earth to visit. The best way to see it is to explore the tiny mountain and coastal roads and mix with the locals. To do that in luxurious Scottish style, you need one of our driver/guides for a private chauffeur tour. What could be better than sitting back in a luxury vehicle and enjoying the scenery while your driver gets you to a top hotel? Every day will fascinate you and we will plan it all , while keeping some flexibility of course, no one needs to be on a schedule with Ireland and Scotland Luxury Tours. We know the greatest local spots and the most breathtaking natural and man-made wonders in Scotland so all you need to know is who to call, and that's Ireland and Scotland Luxury Tours. Some of our most popular tours take you through the Scottish highlands and islands, sure to build memories that will last a lifetime! Touring Scottish lochs and castles is always a huge hit. We use only four and five star hotels, such as Cameron House on the banks of Loch Lomond. From there you can take a seaplane trip and visit the castle made famous by “Braveheart," Stirling Castle. Our other favorite hotel is the Loch Ness Country House Hotel. Both of these hotels are also excellent venues for your destination wedding! The Highlands of Scotland are truly beautiful and visits to the Isle of Skye and hidden gems like Ullapool are a must. It is also worth considering a Jacobite cruise on Loch Ness visiting Urquhart Castle. Scotland has many castles to offer and two of the most stunning Lochs in the world. Make sure your tours of Scotland are complete by seeing at least Stirling Castle , Edinburgh Castle , Loch Ness , and Loch Lomond. From Shetland to Lerwick, Scalloway to Orkney, we will bring you the most enchanting Scottish tour available anywhere in the travel industry. There are some beautiful castles and locations to use. And of course there is the traditional Scottish dancing to try at the reception! Check out our Scottish honeymoon tours for even more ideas on touring Scotland. If you want a golf tour then you must include the likes of Gleneagles, Muirfield , and of course where it all began - Saint Andrews. But don’t miss the hidden gems like Kingsbarns. Are you ready to visit Scotland? Are you excited about being touring the countryside in luxury while leaving the navigation and planning up to our guides so you can really enjoy yourself? Ready to be shown the greatest local nightlife spots? Then you're in the right place. 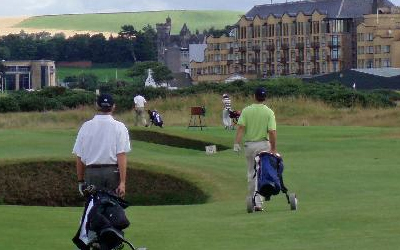 For your private classic links golf tour of Scotland, …………. Just contact Ireland and Scotland Luxury Tours ……… we will do the rest !! !